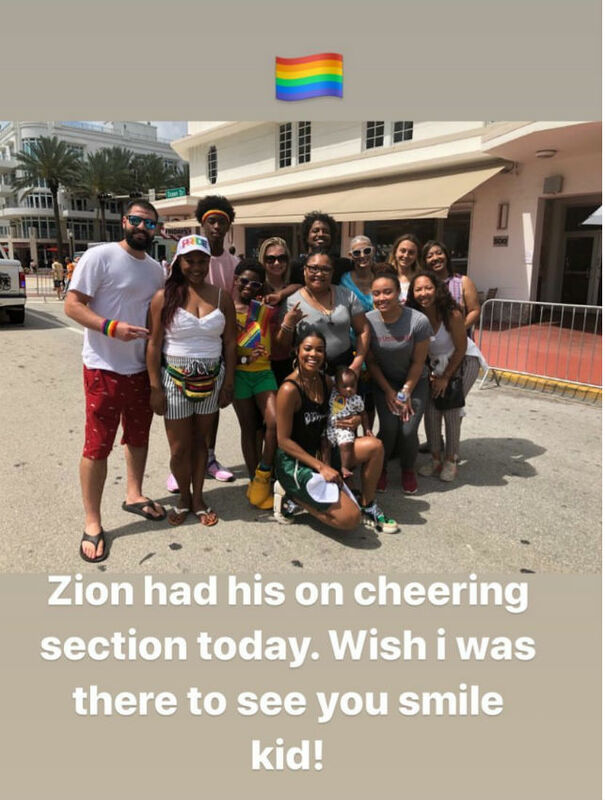 Zion Malachi Airamis Wade had the support of his family, including his step-mom Gabrielle Union and his older brother Zaire Wade, at the Miami Beach Gay Pride celebration on Sunday. 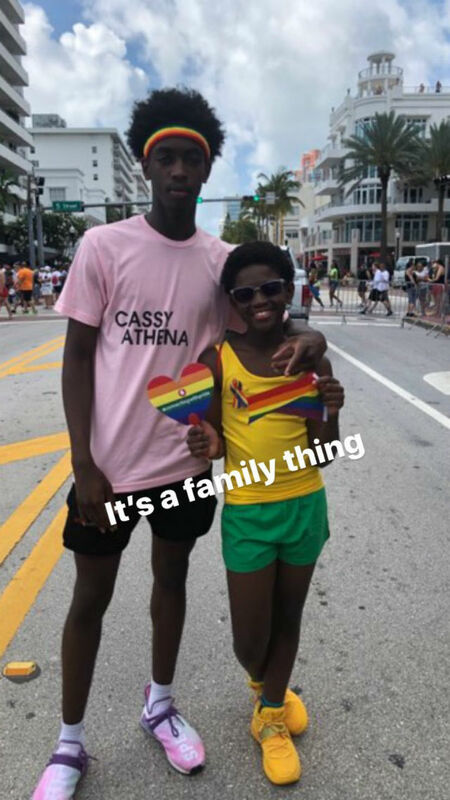 Though Dwyane Wade could not be at the parade to cheer on his son, the NBA star supported his 11-year-old boy by posting photos from the event. 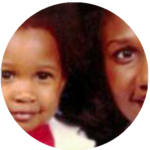 In one photo, Zion and Gabrielle are posing together. 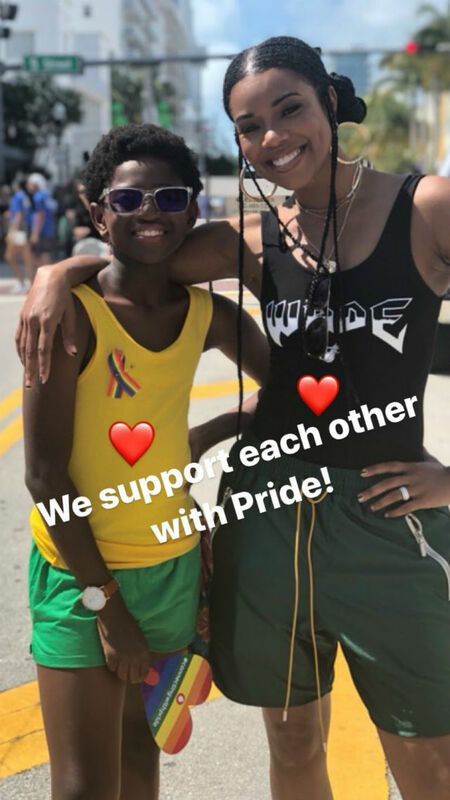 Dwyane captioned, “We support each other with pride”. 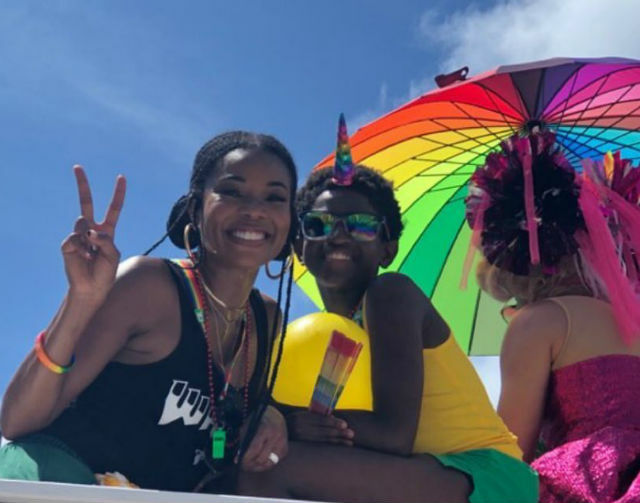 Miami Beach Pride is a weeklong celebration with special events and a 2-day festival and Parade.